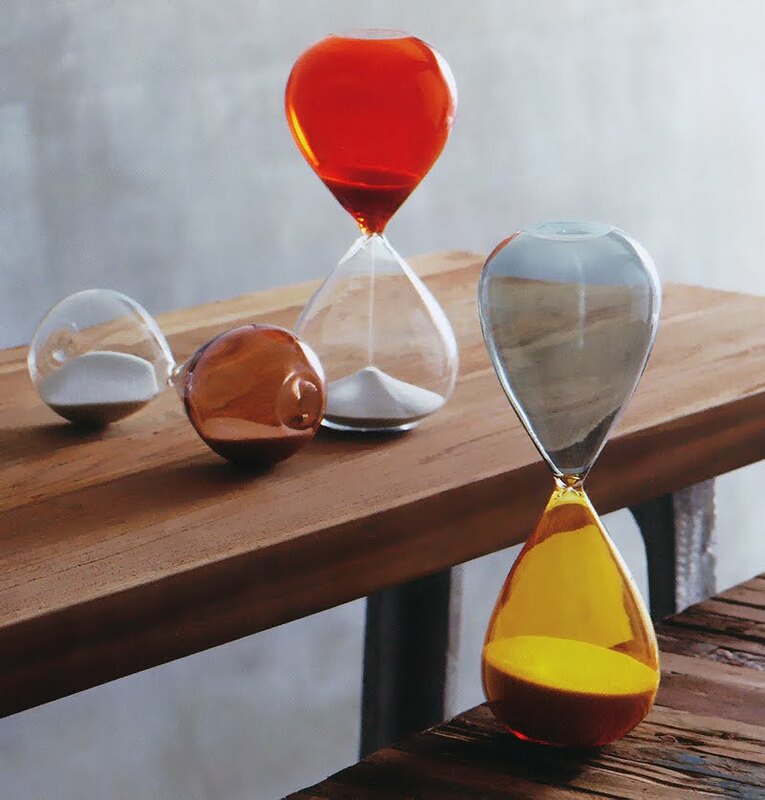 Italian design style hourglasses. These graceful modernist blown glass hourglasses are rendered in beautiful mid century modern Italian colorways. This beautiful set of 3 (three) hourglasses revokes the classic and refined elegance of the early 1950s Italian modern glass design movement. Each piece is composed from thin yet sturdy glass and contains white sand. The simple clean lines and slender center profile of these modern hourglasses gives them an almost weightless quality. They are perfectly balanced and are wonderful for display on shelves, tables or mantle. Their sleek and stylish appearance makes these hourglasses a welcome addition to any mid century modern interior setting. Timeless, classic and effortlessly elegant, our beautiful hourglasses pay tribute to the beauty of early mid century modern European glass design.